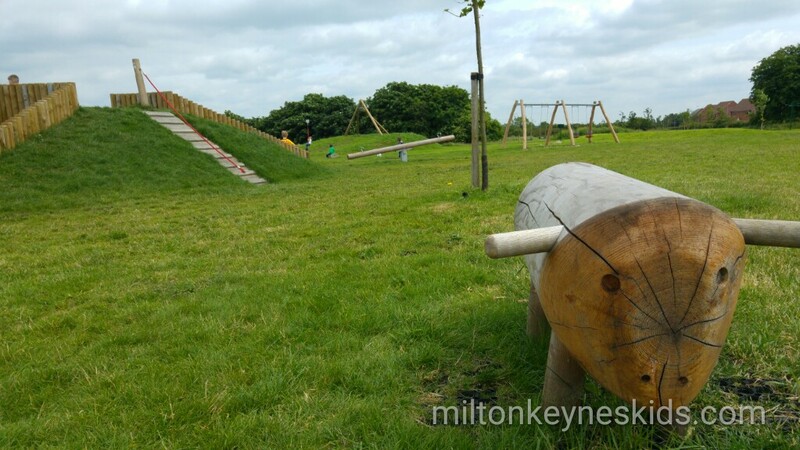 As I write this in July 2016, Stanton Low Park is the best new park in Milton Keynes. 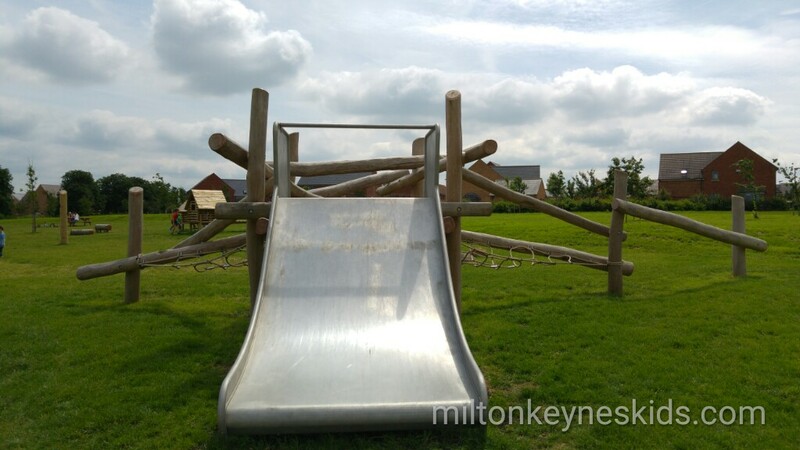 In fact I'm going to stick my neck on the line and say this is one of the best parks in MK all together. Why? Well it's big, beautiful and has equipment for a variety of ages. It's definitely worth going out of your way to if you live on the other side of the city. There's a fun zip-line. I know it's fun, because I tried it out for you. My boys are too small to go on it at the moment so of course I had to check it out. 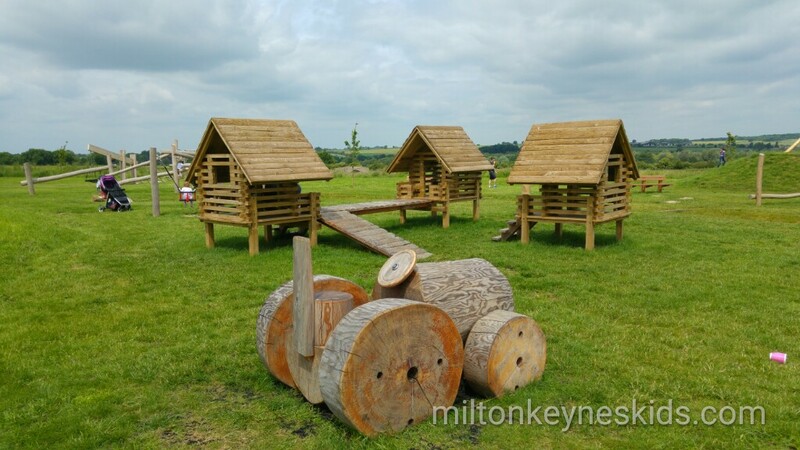 There are some good wooden houses which are great for little ones as well as a tunnel and slide. There are baby swings and big swings. 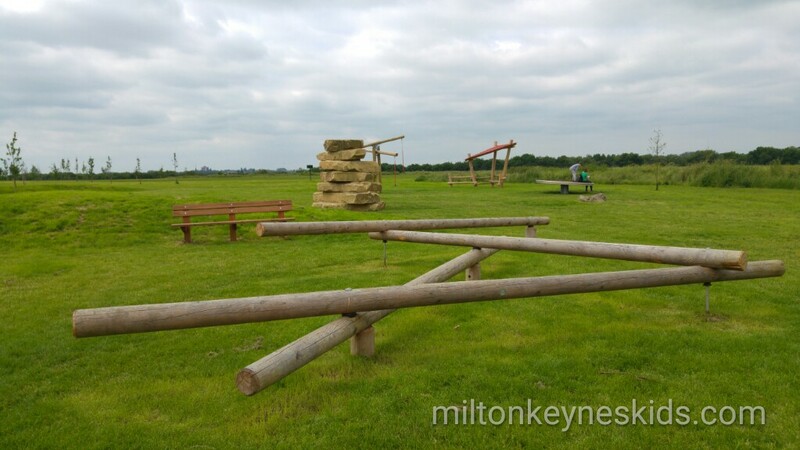 There are balance beams and a big rock sculpture thing. 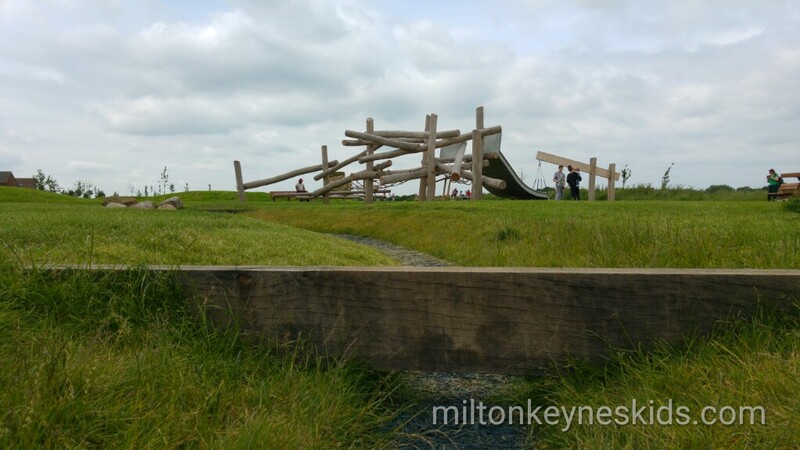 There are a couple of small slides and LOADS of space to run around. What sets this park apart from most is its location. It’s next to the canal. My toddler loved boat spotting. You can have lovely walk around there too. 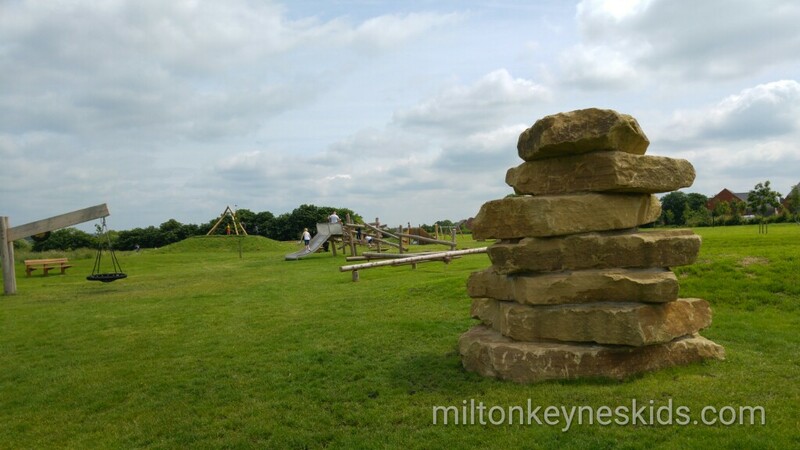 There’s also a BMX track – is that what they’re still called? You could easily take a picnic and meet up with friends for a couple of hours. There isn’t much shade so do bear that in mind if you go on a hot day and you’ve got a baby. 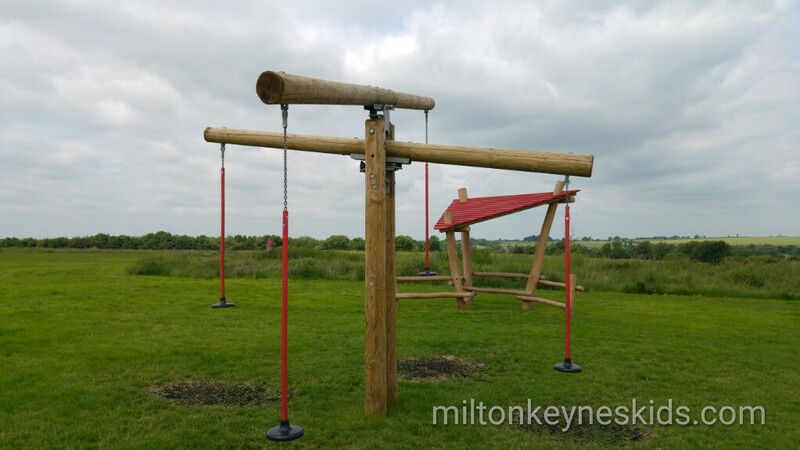 It’s the perfect place to go when you’re looking for somewhere free to take the kids where they’ll be entertained for a while. There is a small car park but it’s just for disabled drivers. Don’t park in there. The park is about half way down Selkirk Drive in Oakridge Park. An approximate postcode is for it is MK14 6FQ which is for Weavers Lane – don’t go up Weavers Lane – that’s simply one of the nearest streets to it. The park is set back from Selkirk Drive. We parked at the end of Selkirk Drive in the car park for Stonepit Field and then walked – about 5 mins. 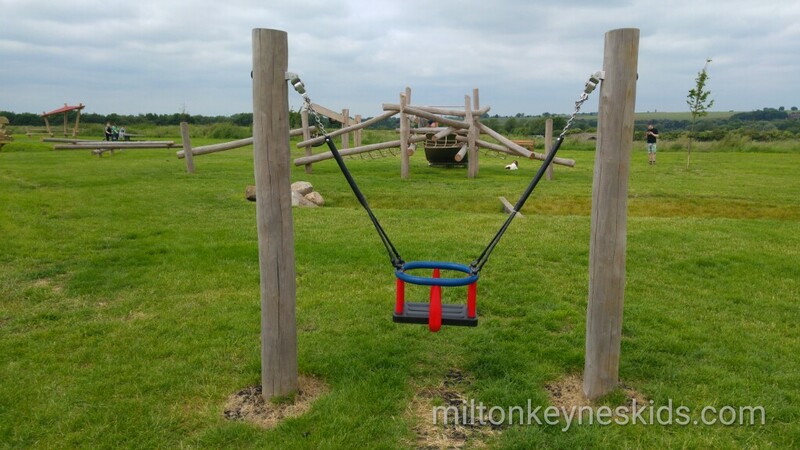 If you’re looking for another place to take small children there is a small park with a nice little climbing frame in Winchcombe Meadows – a few minute walk away. 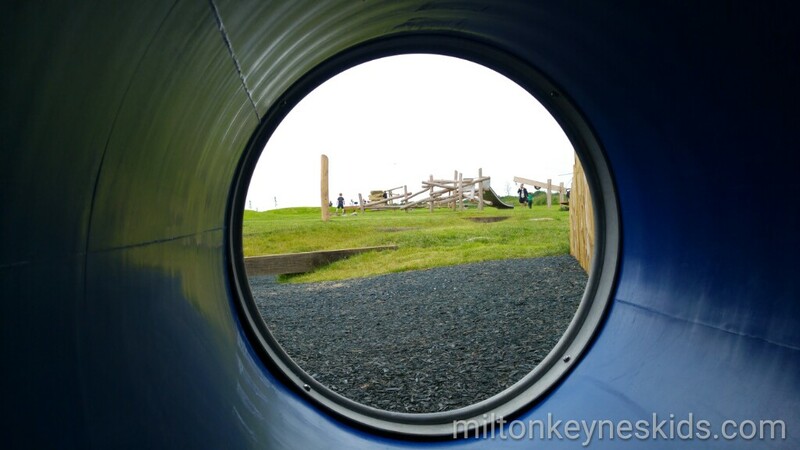 Don’t forget to check out the parks section of my blog for other good parks.